Kate Middleton missed out on the bash of the year at Buckingham Palace last night, while the rest of her family partied the evening away with the royals. The Queen hosted a special event at the Palace to celebrate the 60th anniversary of her Coronation, and it was attended by most of the royal family – bar the Duke and Duchess of Cambridge and Prince Harry. 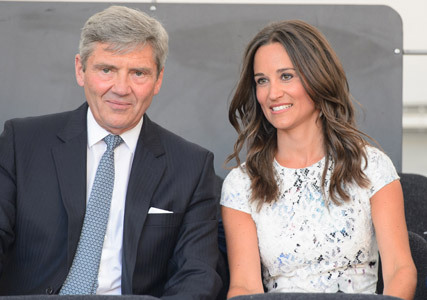 In their place, were the perfectly-groomed Pippa Middleton, James, Michael and Carole, who all took up seats in the royal box. Fancy that. Pippa looked stunning in a white floral lace tea dress, which she teamed with a Lamb 1887 white clutch and grey suede court shoes from Aruna Seth. 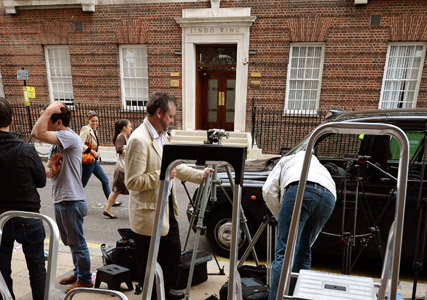 Pippa, James, Carole and Michael Middleton’s attendance at the Coronation Festival only further confirmed that the royal baby isn’t unite ready to join us – as it’s thought that Carole and Pippa are planning to join Kate in her suite at the Lindo Wing of St Mary’s Hospital. The festival was organised to celebrate the Queen’s reign and saw more than 200 Buckingham Palace suppliers descend on the gardens to exhibit their wares. Prince Charles and the Duchess of Cornwall were spotted enjoying the sights, while Zara Phillips made her first public appearance since announcing she’s expecting her first baby, this week. WHAT DOES IT MEAN IF KATE MIDDLETON HAS A GIRL?